﻿ Fairy Knowe Hotel Wilderness. JIMAT di Agoda.com! Ada soalan mengenai Fairy Knowe Hotel? Terletak di Wilderness Heights, Fairy Knowe Hotel merupakan tempat menarik untuk memulakan pengalaman di Wilderness dan kawasan sekitarnya. Hanya 2 Km dari pusat bandar, lokasi strategik hotel memastikan tetamu boleh ke mana-mana sahaja dengan cepat dan mudah ke tempat-tempat tarikan. Persekitaran yang terjaga dan kedudukan berhampiran dengan Wilderness Lagoon, Nendela Wellness Centre and Spa, Dolphin's Point memberi hotel ini daya tarikan istimewa. Di Fairy Knowe Hotel, perkhidmatan yang cemerlang dan kemudahan yang unggul menjadikan penginapan anda tidak dapat dilupakan. Untuk keselesaan dan kemudahan tetamu, hotel ini menawarkan pengemasan harian, pendiang api, Wi-Fi di tempat awam, tempat letak kereta, khidmat bilik. Suasana Fairy Knowe Hotel terpancar di dalam setiap bilik tetamu. bilik larangan merokok, meja, beranda/teres, telefon, televisyen hanyalah sebahagian daripada kemudahan yang boleh didapati di hotel tersebut. Hotel ini menawarkan kemudahan hebat, termasuk bot, kolek, denai kembara, padang golf (dalam jarak 3 km) , kolam renang terbuka, untuk membantu anda berehat selepas hari yang penuh aksi di bandar. Kemudahan yang hebat dan lokasi yang sangat baik membuatkan Fairy Knowe Hotel menjadi asas yang sempurna untuk menikmati penginapan anda di Wilderness. Old world charm and a delucious breakfast. This was a beautiful hotel and could be again. 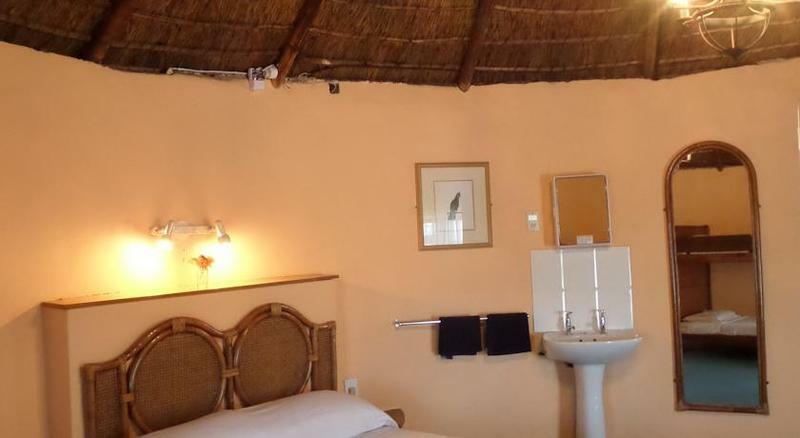 It’s in a wonderful position, out of the town of Wilderness, but only a short drive to great restaurants, beaches etc. The staff were not especially welcoming and particularly at breakfast one lady was pretty rude. The rondavels are quirky and fun, but we were in a family room the shower of which desperately needed a new rose as it splayed water all over the room. Out of 4 light bulbs in the ceiling light only one was functioning. This may have been because the hotel is being renovated. We’re hoping so as we would love to come back to see it restored to its former glory. BUFFET BREAKFAST GOOD. HOTEL DECOR GOOD AND IMINAGINATIVE. VERY BIG AND WELL MAINTAINED POOL. BATHROOM SMALL AND IN NEED OF IMPROVEMENT. 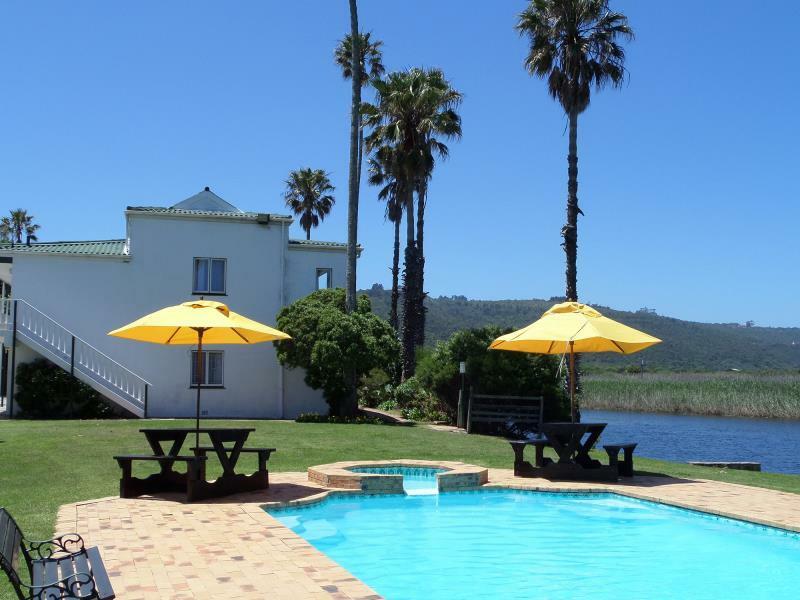 Quaint complex with rondavels and traditional rooms overlooking river and pool , tennis courts and water sports. Large restaurant and games room with events and music.5 mins from sea and beach. Shows its age but its quaintness history, suprrb vkews and reasonable prices can appeal . Pay on arrival. Lots of parking space. 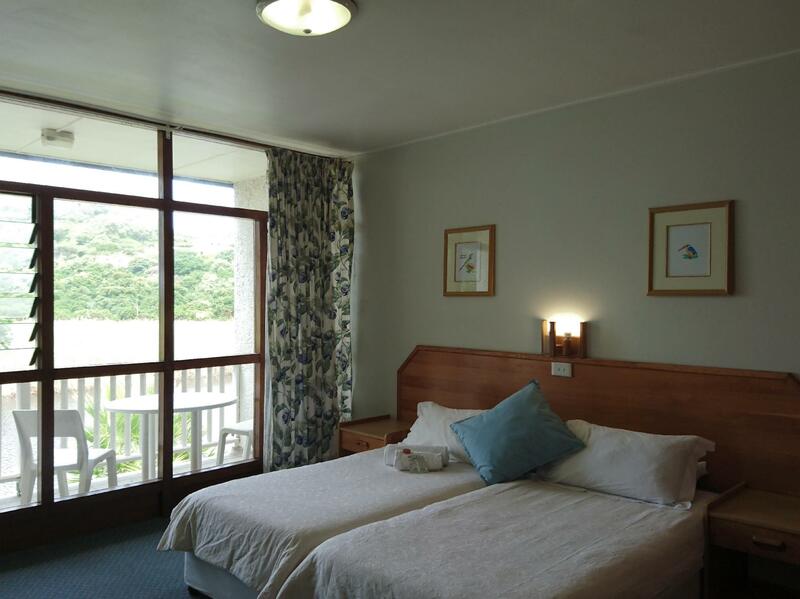 Ideal hotel for breaking journey on the Garden Route. We last used this hotel over thirty years ago and if it wasn’t reasonable, it wouldn’t have still been in existence now! Staff most welcoming, rooms adequate and clean, good price for overnight stay, food well cooked with plenty of choice, quiet location. I spent an extra night here once I saw the view from my river facing room. So serene! The hotel is also far from the N2 highway where other hotel guests may hear the N2 traffic. The hotel has its own canoes so you can use it for free. Eden Adventures is on site if you plan to do more adventurous activities. Good wifi in the common areas. Friendly staff. Safe parking. Just don't stay in room 10 (the first room I was given facing the parking - I found it a little mouldy). Without hesitation the receptionist moved me to room 28 on the river which was much better (so good that I extended the night). If in Wilderness make sure you check out the Map of Africa Viewpoint which is a 10 minute drive up one of the mountains. That view is worth your trip there! We thoroughly enjoyed it. I was becoming a bit sceptical when I read some of the reviews but, bracing myself for the worst, I was pleasantly surprised. We are seriously considering coming back again this coming December holiday. The only difference is that we intend staying longer this time. It was nice. We arrived very late & called them multiple times but they were all accomodating & helping.The other couple who were travelling us found they had a problem with the shower so they changed the room & provided them with a bigger room. So overall i was happy with the choice i made. Will recommend it. 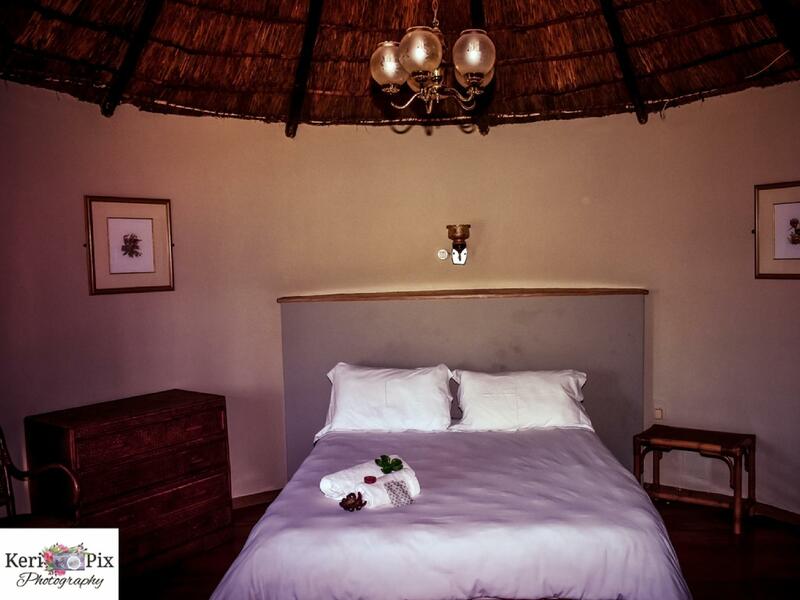 We loved every minute of the Fairy Knowe, we booked the family rondavel with a view which was absolutely perfect for a family of four with children ages 10 & 12. The children had the freedom to canoo, ride bikes, swim and play tennis, as we are city slickers it was a great pleasure for the children to run around freely in a safe casual environment. The daily breakfast was highly appreciated and delicious to such an extent that we attempted dinner one evening. 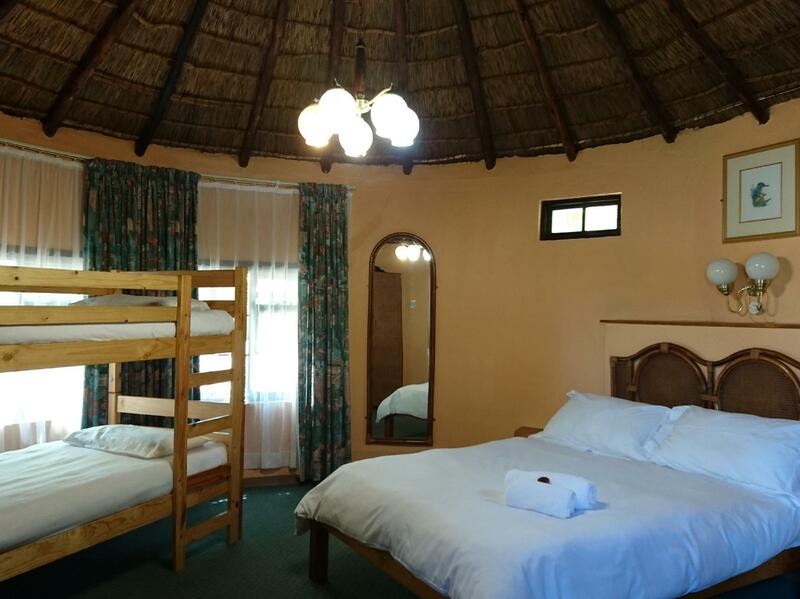 If you are the camping type family that enjoys the great outdoors and are not hassled by comfortable beds etc. then this is the place for you. Absolute value for money. I was reluctant to write a review as this kind of establishment should be kept a secret. Thank you Fairy Knowe staff we will without a doubt return one day and recommend to our friends and family! NEAT , FRIENDLY , GOOD FOOD. Satisfactory. The hotel is old and could do with refreshing the furnishings, etc, but other than that, it's comfortable and seems well suited to a family vacation. The resturant breakfast was okay, but we sought out more interesting options in the nearby Wilderness town center. Thoroughly enjoyable - our third visit this year, and we will definately be back again! Stay was enjoyable. A mini-fridge will be welcomed. The hotel needs immediate renovations; rooms are old and poorly maintained, food is horrible, avoid it if you can. we arrived a bit late but was welcomed by very friendly and helpful guy at reception. rooms were neat and a nice size especially with little kids.nice atmosphere, a lovely clean bathroom with all you need. the breakfast was very good and tasty and waitresses very friendly and helpful. we could not get ourselves to leave before going on paddle boats and a dip in the pool - we had such a wonderful time and will definatly return to this hotel in the most beautiful setting of trees and listening to the birds. 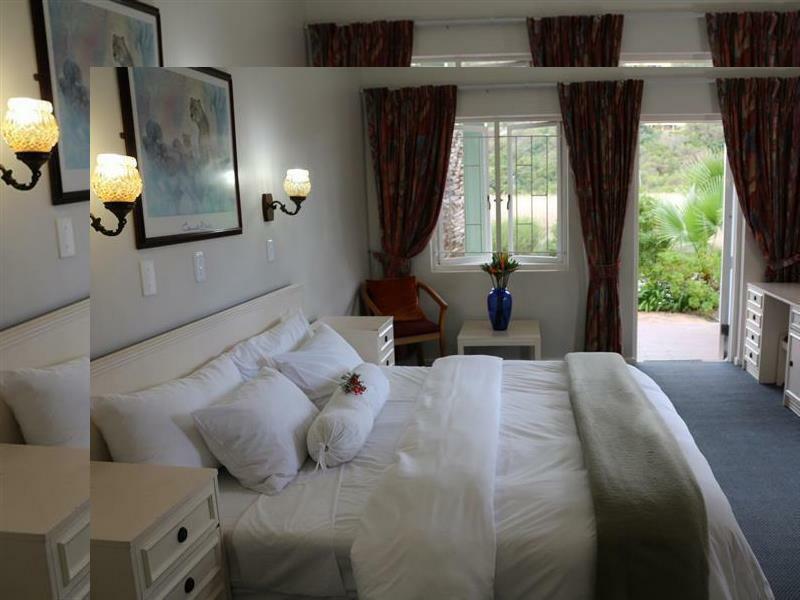 This hotel was very centrally located near shops and a short drive from the main Wilderness beach. Breakfast was great, free continental and a small additional amount for English.